Well, I had a successful trip to Perry, GA and the Feathered Horse Classic last week. I took Gypsy Wind and entered 4 classes. We placed in 3 of the 4 classes and I was very proud of how Wind behaved. She is such a good girl! Showing definitely puts me way outside of my comfort zone, but I am so glad I went. 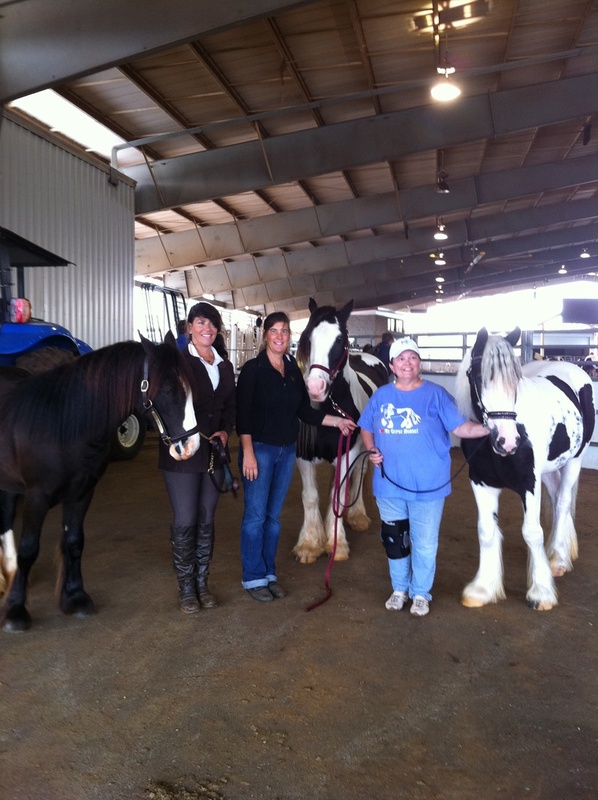 I am really enjoying meeting new people, especially the other Gypsy Horse farms in the Southeast. I hope to continue showing next year - I am planning on getting Ella started this Winter/Spring and taking her to the Spring Feathered Horse Classic in Shelbyville, TN in April. 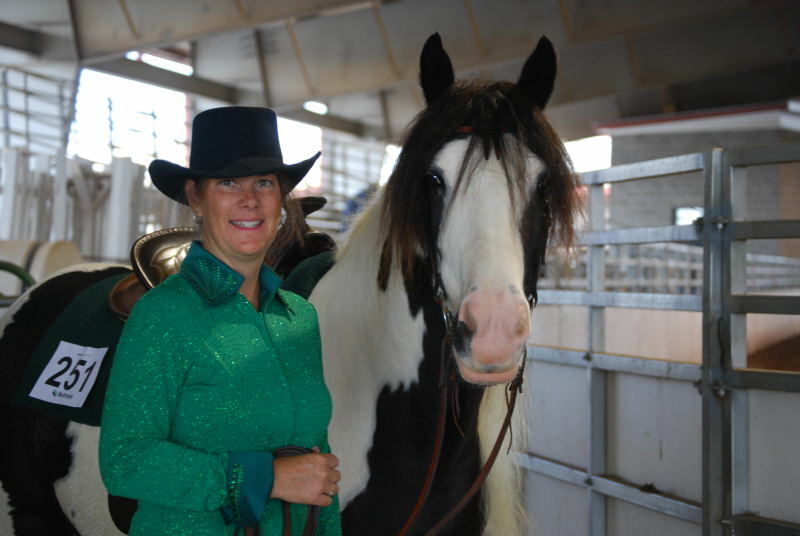 Oh, for those of you interested in showing your Gypsy's, I am a Regional Director for the Gypsy Show Horse Association - I am not going to be able to make it to their National Show in Nov., but I am really looking forward to the GSHA shows next year - hopefully they will have another clinic before a show like they did last year in Ashville, NC - that was great and SO helpful!! Here are a couple of pictures from the Perry show. Great pictures! Nice to see Gypsy horses and their owners enjoying a good time. Ok...can your not really horsey friend comment that you looked beautiful!! !